Who Has the Best Tomball TX AC Repair Service? Summer’s coming up quickly, and you’re going to need the Best Tomball TX AC Repair Service solutions to make sure you stay ahead of the game. Are you struggling to make the most out of your current AC setups and you’d like some type of professionals to help you? If you’re currently scouting out contractors to assist you with your Ac units, you may not know how to look for them. Brought to you by Houston Admiral Services, this blog entry helps you understand what you’ll need to be on the lookout for when searching for quality repairmen. We all understand how critical it is to have a working air conditioning unit when you live in Tomball. Our servicemen don’t want to see any Texan go without quality air conditioning when they feel like they need it the most. Continue reading to learn quality information that can help you overcome your struggles. 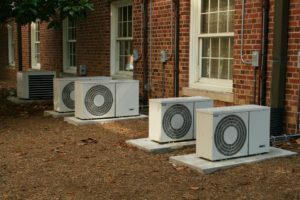 If you’re going to trust a company to handle your air conditioners, you need to make sure you find one that’s going to always be around. Emergency AC repair is something that everybody is going to have to be aware of at some point. Are you trying to make sure you’re able to continue your streak of preventing emergencies from getting the best of you? If so, you’re definitely looking for a company like Houston Admiral Services to assist you in your daily air conditioning living. We’re proud to say that our contractors are mobile and always ready to jump in when you need some assistance. You never know when your Ac unit might shut down, and nobody wants to have to wait until an appointment to get it fixed. Ensure you’re able to find quality technicians who will keep your cool for the long haul. You’ll always be able to count on your units when you’ve got our team around. In addition to repairing and replacing components, we also offer our customers valuable services that maintain their AC setups. Are you trying to find out how you’re going to be able to repair your air conditioning units without doing so every couple of years? Though these machines are supposed to last 15-20 years, you’re still going to have to find relief when it matters. Be on the lookout or our 31-point detailed inspections so you can properly maintain your setups and extend their lifespan. You’re searching for the Best Tomball TX AC Repair Service options for you, and we’re on your side to make things happen. If you’d like some assistance with what’s going on with your AC situations, call in our team for more information. By dialing 81-876-9400, you will be able to find quality individuals. Our team can fix your Ac units in no time.